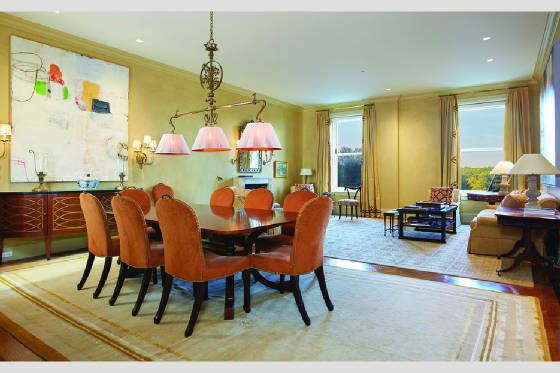 Living room/Dining room. 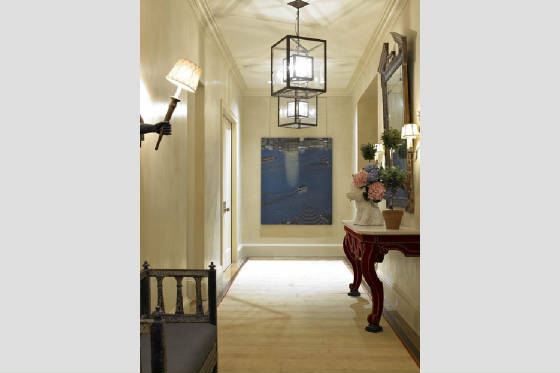 A gracious foyer sets the tone for the impressive ambience beyond. 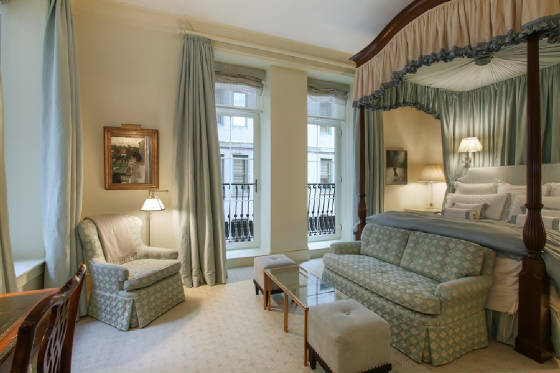 The wonderfully quiet Master Bedroom suite boasts an enormous walk-in closet, and a Juliet balcony, situated perfectly above the sumptuously planted Plaza Gardens and Fountains. 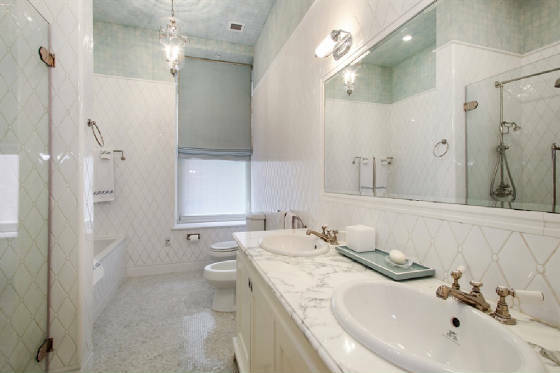 The double vanity en-suite Master Bathroom is outfitted with a mosaic patterned floor derived from the historic Plaza Lobbies, and fixtures with the classic double P Plaza logo crafted by Lefroy Brooks and Kohler. Outfitted with Viking and Miele appliances, the kitchen is gorgeously appointed with white mosaic marble backsplashes and Nero Marquina stone countertops. 601 is considered one of this legendary building's most sought after corner residences. Apartment 601 is perfectly situated to be combined with apartment 603-605 next door, and is being offered as a combination. 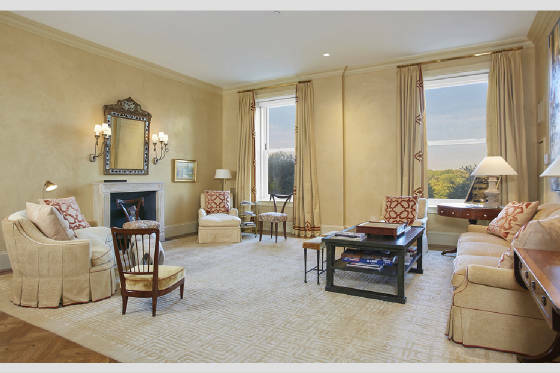 This combination would achieve a superb and truly one of a kind 5,868 sq ft 5+ Bedroom apartment with 12 windows all facing Central Park. Built in 1907 by Henry J. Hardenberg in the style of a French Renaissance Chateau, The Plaza is a National Historic Landmark. Once home to the Vanderbilts and Astors, it continues its reign among the most prestigious addresses in the world. 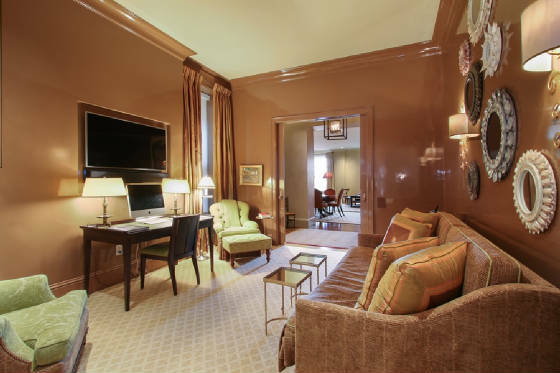 The Plaza Private Residences offers residents full Hotel Services, Luxury Attache Concierge Service, and amenities including The Oak Room and Oak Bar, The Palm Court, The Grand Ballroom, The Champagne Bar and Rose Club, The Plaza Food Hall by Todd English, La Palestra Fitness Center, Caudalie Spa, and Warren Tricomi Salon.